Perhaps it's because of the advent of the Internet or the integration of smartphones into our daily lives, or maybe it's just a sign of the times, but people are very keen on getting things instantly. While it's pretty amazing that we can search for things on our pocket computers and get breaking news updates directly to our lock screens, as a culture we are very opposed to delayed gratification when it comes to certain aspects of our lives. Take our delivery choices as an example. We are so keen to get our ordered goods to us as soon as possible that we're sometimes willing to pay exorbitant overnight shipping fees just to get a sweater or blender on the doorstep before the next day's sunset. Overnight shipping is impressive in and of itself, but it appears that the idea is being taken over by same-day delivery services and alternative shipping methods that get your products to you as quickly as humanly possible. What is the last-mile delivery landscape going to look like in the next few years? When it comes to getting our products when and how we want them, many people will not be too hung up on the delivery method as long as the item in question reaches its final destination on time and in one piece. According to MarketWatch, the millennial generation has fewer loyalties to established companies such as FedEx and UPS, as these delivery methods are traditionally slower than other expedited approaches. Thanks to newer technologies like smartphones and applications such as Uber, people are finding a way around supposedly outdated methods and opting for innovative and faster delivery options. 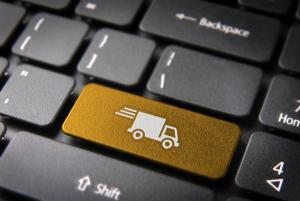 The source noted that legacy delivery services haven't had as much revenue coming in as they have in years past, though newer companies like Amazon have needed to increase their shipping prices or take them at a loss to keep customers happy. The online shopping giant isn't throwing in the towel quite yet, however, as there are some experiments in the pipeline that should impress even the most impatient of consumers. Is 'On My Way' is on its way? Amazon.com may be trying out a service that uses ordinary citizens with cars to make deliveries for physical stores in a given area, reported The Wall Street Journal. The service, known internally as "On My Way" can be seen as the Uber of the delivery world. Much like the driving service, it's speculated that these couriers would be notified via an application to pick up an item from a store and deliver said purchase to the customer's home or business. While Amazon declines to make any comments about the reality of this service, this does pose many questions both in favor and against the possibility of "On My Way." For instance, would couriers need to get a background check before they can make deliveries? And what's to stop them from stealing the packages instead of delivering them to the customer? Only time will tell to see if the "Uberfication" of delivery services will become a reality, but it does seem to satisfy a need that consumers have and have had for quite some time. Bundles of nerves or parcels? This prospect of a new kind of distribution method may be making officials at legacy companies sweat a little, though Vice President of FedEx Mike Glenn doesn't seem too worried about Amazon's service and similar ventures even taking off the ground. "Research has indicated time and time again that a uniformed person with proper identification showing up at your doorstep is an important issue for customers," Glenn stated, reported BusinessInsider "Consistency of customer experience is very critical in that regard." So either executives at these companies are confident in their client base and their read of human behaviors or they're just keeping cool to quash any excitement about the service. Either way, it doesn't seem that these legacy delivery services will be going out of style anytime soon. However, it will be interesting to see how these seasoned enterprises respond to the changing tides and importance of technology in the last-mile delivery in the supply chain. Perhaps drones will take off after all or we have yet to encounter the new thing that will improve our last-mile delivery and satisfy our instant gratification needs.